Beer company leases an island – most expensive PR campaign of the year? Spotted on Matt Muir's brilliant Web Curios blog, this example appears to have cost a fortune. 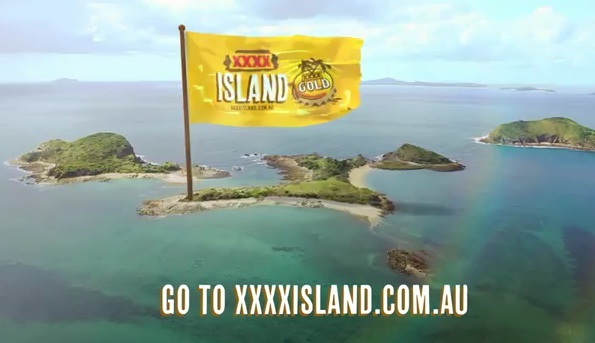 In short, Australian beer company Castlemaine XXXX has leased a 15 acre island off the coast of Australia – 'about 15 clicks off the coast of Queensland', apparently – and is asking members of the public to decide how the island should be developed. is and who it's for and stick to it). I like the campaign, though. There's a nice escapist element to it and it'll be interesting to keep an eye on how it pans out. If anybody from Castlemaine reads this and wants to fly me out to check it out, you know, on the ground and report back just how manly – but also appropriate for women it is, too – I'd be happy to. UPDATED on Friday 6th April to state that the island has been leased – not bought, after looking into it a bit more following Jowust's friendly comment below. (Other agency partners include Res Publica and Octagon). 7 comments on Beer company leases an island – most expensive PR campaign of the year? I can’t credit the research unfortunately (as I can’t find it anywhere!) but from what I recall alcohol brands targeting men will also usually appeal to women, whereas alcohol brands out to appeal to women will alienate men. In other words, if you want to reach both sexes, market to men. Interesting stuff that Jemma, sounds about right though. Note they didn’t buy the island…? research much? Thanks for your friendly comment Jowust. If you hadn’t sarcastically highlighted my flawed ‘research’ and had otherwise simply mentioned it in a polite and constructive way, I might have missed your point entirely. Haha… You have a fair point, I will be more tactful in future. I think it’s a great campaign, even though the campaign is quite similar to the Midori Island project which was held at the neighboring island of Great Keppel.